On August 14th, GORUCK founder and CEO, Jason McCarthy, announced that effective September 1, 2018, GORUCK rucksacks and apparel would see a price increase of 20%-30%. Below I simply want to “think out loud” about this dramatic announcement. You’re welcome to share any thoughts you have in the comment section at the end of the article. I think my biggest concern with the potential new price points is that the cost of entry may now be too high. We’ve all had the experience of telling a friend or family member how much these bags cost and getting that, “You’re insane” look. With these new prices, the insanity level just went up 20%-30%. The Rucker now sits to be the new entry point for people, even though it is creeping in the very high $200’s. This “may” be reasonable. Considering the success of the GR1, the $260-$280 range for a Rucker might not be that bad for the entry-level person getting into GORUCK and rucking. But, every other ruck seems to be pushing into crazy territory. I love my GR2. It is an amazing bag and great for travel, like when I took it on a 9-day trip. But, there is no way I could drop $500 for it. In fact, it took me over a year of waiting to find it on eBay at a price I could afford (and in a color I wanted). For current GORUCK fans, the new price points are painful. There’s no way around it. Based on what I’ve seen in online discussions, that isn’t necessarily going to scare them off entirely. The question for me, however, is how will this impact the potential new customer? What is the envelope GORUCK can push and still bring in new buyers? With the new price jump, is GORUCK flying too close to the sun? I already had a difficult time with GORUCK apparel prices. I did finally settle on being ok with Simple Pants being $110. As I say in my review, they are amazing. I landed in a different court when it came to Simple Shorts. At $90, they are just too expensive for a pair of shorts. As I state in my review, when they are in the $60’s range, I think they are a good buy. To now jump them into the $110+ range… I just don’t know if the value is there on a pair of shorts. Outside of the shorts, it is only the “challenge” line that looks concerning. Nearly $200 for the pants and $150 for shorts is rough. But, since other apparel items all float in a sub $100 range, the 20%-30% increase seems less shocking. 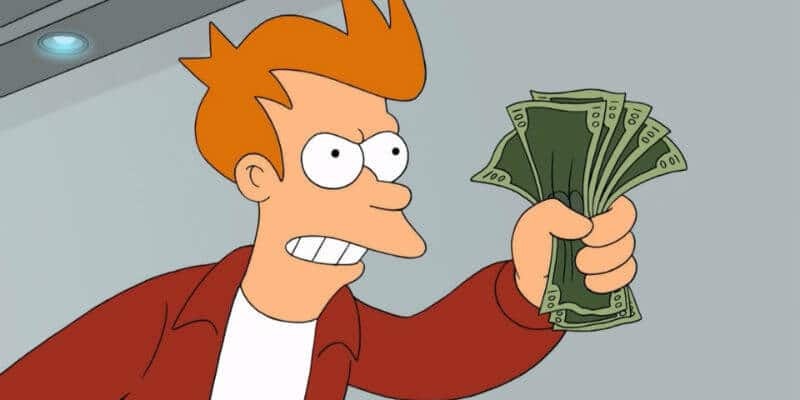 For me, the price increase in apparel just means I’m going to be even slower to pull the trigger. With the new price increase, it simply means that those customers with Earned Service Discount are now simply paying the “retail” price. Could this actually be what GORUCK is after? Did they realize that their retail price is right, but they just have too many people utilizing Earned Service Discount? If that’s the case, then a 20%-30% increase makes a lot of sense. In order to get an idea of how many people are using the discount (note: I don’t qualify for it.) I posted a poll on my twitter and facebook feeds. I’ll note before the results that, while very interesting, I am not sure the results can be extrapolated to all GORUCK customer base. Alas, here’s what the results look like. Doing some research. Help a brother out. Do you use the “Earned Service Discount” when purchasing from GORUCK? The numbers were both surprising and, at the same time, what I thought they’d be. 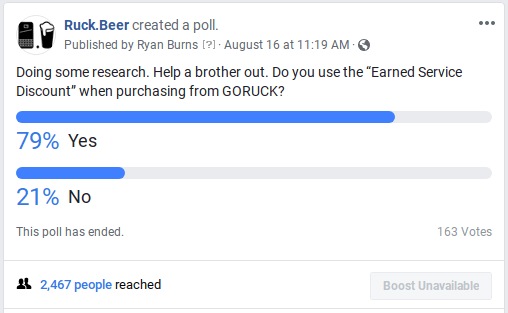 Could it be possible that 60% or more of GORUCK’s overall customers are utilizing the 25% discount? If so, this is a huge amount of revenue “lost.” The price increase would “solve” that problem. Psychologically, I think this portion of the customer base will be the one that is least likely to jump ship because of the price increase. As I said earlier, this just means that they are now paying “retail” when using their discount. If you can get 2/3 of your customer base to get back up to retail, and you potentially lose half of 1/3 that are now priced out of the gear because they don’t have the 25% discount, then that is still a pretty significant win for the bottom line. The traditional holiday sale and the Christmas in July have become a mainstay in the GORUCK calendar. A large number of customers, myself included, plan all their GORUCK purchases around these sale dates. Obviously, like the Earned Service Discount, these sale prices will not just drop the gear to numbers close to “pre-price increase” days. I’m not sure how that will impact the customer base, specifically those who have been around for a long time. New customers are probably just going to be excited about a good deal… but the old-timers will bitterly mumble about the good-ole-days. While on the topic, I would not be surprised to find out that Christmas in July will go away, or at least be scaled down next year. Reading through the mountain on online discussion, there are no doubt people disappointed and likely to leave the brand (you can read some of it in the comment section here). Others will likely just decrease their spending (buying 1 ruck instead of 3). But, what stands out the most is the large amount of support that people have expressed. In particular, Jason and GORUCK have been commended for 1) their transparency and 2) keeping their manufacturing (except the MVAC-1) in the US. These two facts, for many, are reason enough for GORUCK to retain their support and, in turn, their dollars. But, what about me (the guy writing this post)? GORUCK was already outside of my price range. To be very honest, the success of this website is the only reason I am able to afford anything GORUCK makes (thanks for reading!). And, as I’ve confessed earlier, I bargain hunt my gear, buying it on eBay or during a sale. I think my Simple Pants purchase was one of my only full-price purchase. So, for the price increase, under normal circumstances, it is too much for me. But, as long as you weirdos keep reading my ramblings, I’ll be able to afford GORUCK. But, I will continue to time my purchase strategically and probably won’t splurge too often. I really love GORUCK. I love all my rucks. I love the Simple Pants. And, I love GORUCK events. Like many of you, I’m not going anywhere. But, the new prices will have an impact on me and certainly cause much more of a pause when I consider purchases. I guess time will tell how true I keep to this word. Did someone say tiger stripe? But, what about you (the weirdo who read all of this)? What do you think? How are you feeling? Sound off in the comments below. Oh… and you’d better hurry. If you want to get a good deal on GORUCK gear before the price hike, the clock is ticking! Good write-up with some valid points. I am fairly new to the GORUCK cult (my first event was about 2 years ago), and I was very concerned about the pricing then. I thought I was never going to buy GORUCK gear due to the price, and slowly got sucked in (buying a Rucker on sale and with ESD, buying stuff on Ruckmall and winning raffles). Other than some apparel for my wife (and now the Polo), I have not bought any apparel at full price (minus discount), not because I can’t afford it, but because I am cheap. Despite all that, between gear, apparel, and events, I have probably dropped between $1,000 and $1,500 on the GORUCK site. I agree with your point about new clients possibly being priced out, but what about the recent price drop for Light Challenges? The last few I have done, we had easily 50% brand new people there, and what better way to get those folks to commit to spending fortunes on this gear than to have them see it in action with the seasoned participants in the challenge. That’s how it’s worked for me when I first started, and I am sure it will continue to work, albeit possibly at a slower rate. Excellent piece. I’m one year into the GORUCK world and it took completion of two events PLUS the highly attractive Christmas in July sale combined with my wife’s teacher discount to give me the green financial light to make the jump into owning an actual GORUCK bag. Until then, I used a perfectly fine $40 ‘assault pack’ from Amazon. I wanted to join the tribe, hence the purchase. If it was a year from now with the same event experience, I doubt I’d buy new. I’d have to opt for the secondary market which is sitting pretty with demand. While at events, I’ve often wondered about the mathematics involved. X number of participants who probably paid $Y. A Cadre needs to be flown in and provided lodging. Where’s the business there? Is it a long tail where participants eventually join the movement and purchase the gear? With these prices, there is a barrier to admission. Jason’s transparency was admirable, and he has absorbed a LOT of criticism without turning nasty (he’s no Elon Musk). I can’t think of another company or brand EVER that has done so. It made me a more ardent fan of the brand. However, it remains to be seen how this decision will impact sales. I’d like to think they’ve got some smart people who have run the numbers 1000 times and now what’s likely to occur. Keep doing what you’re doing, Ryan. The community needs your perspective. I’d say that some events are a loss, but lots of events can bring in big coin. I did the GOREV HTL in Phill last year. There were 80 people in the Heavy (and that’s just who showed up). The price was (at lowest) like $150+. The Tough and Light only added to that. Sure, cadre and transportation expenses, but I think they have dialed in the profit point for events. While events surely lead to new gear customers, I’m pretty confident that events are profitable on their own. I’m sure they’ve had record sales since the initial email and the final email with actual price increase numbers. I’m betting their math included that. I have a friend who do the ordering for me with her ESD if/when I decide to order again. I know a LOT of people must be calculating ESD pricing for future decisions. I know for a fact I would never order new again without the ESD. I want a GR2 but would never pay $495 for it. Great read, I am glad I purchased my Rucker 2.0 before the price increase but was also planning on buying a MCAM Black GR1. At the new price point I will just stick with my Rucker. I justified it with the quality, sure, but also 1) earned service discount, and 2) SCARS. Without the ESD, I may have stopped at two rucks — one for training / events and another for EDC; and maybe even just one. And certainly would limit my apparel purchases and such. More so, regarding SCARS — which I have yet to use — at some price point it becomes irrelevant for me. Ie, for $300+ I could buy several “throw-away” packs. 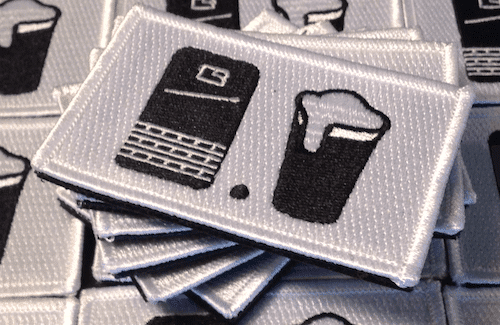 I LOVE GORUCK products…but the previous price point was boarderline to high for me. Now with that being said I don’t think this is a bad move for the company. There is a cost to doing business, keeping good employees, and producing in America and there is a cost to growth/evolving your company. Brand loyalty is going to go a long way and so does reputation. Will people pay $355 for a 26 liter pack, sure they will! Just as people (me lol) will spend $300+ on a folding knife. Many enthusiasts of any activity or community are willing to shell out big bucks for the best possible product, with the best possible materials, and the best possible customer service. This philosophy works very well with an established community such as GORUCK but can be prohibitive to those who are new who want to get involved. Personally I would keep the prices of the Bullet Ruck below 200 and keep the Rucker teetering around 200 to not alienate new folks coming in who will buy one, and then upgrade to one of the more expensive GR1 GR2 options later on when they see all the cool features that they don’t have on their entry level bags. There are not shortage of bag companies out there and there are many far less expensive options that will hold up to quite a bit of abuse, of course they don’t come with the prestige of a GORUCK bag, but they will get the job done for most people. I am very interested to see how this plays out for the company, I know it won’t stop me from buying their products or attending events…but I will probably make those purchases during one of the sales. I’m all in for Goruck but I’m afraid the price increase will keep people out of the market. I’m in Canada so the difference in the dollar plus the crazy shipping fee along with Canadian taxes will really make it tough to bring them in. In my opinion, anyone who purchases a backpack (it’s not technically a Ruck Sack) at those price points, has to be an idiot or moron. Or, just really, really dumb.